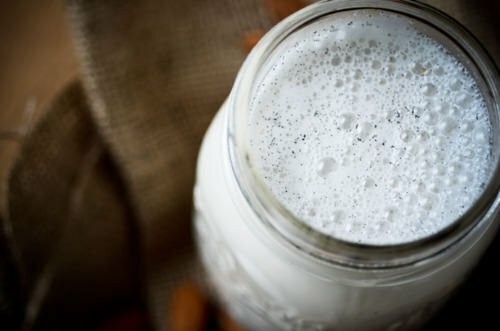 Delicious home made almond milk can be yours anytime you desire. All you need to do is soak the nuts overnight and then process them in the blender with water. Super simple, no preservatives, no artificial ingredients just almonds, vanilla, sea salt and agave. And you don’t have to stop at almonds, try cashews, hazelnuts, pumpkin seeds or hemp the variety is endless. Sometimes I blend a few pitted dates with my almond milk for a sweet treat with added nutrition. You can also buy a special bag just for straining your milk and it makes it even easier, I highly recommend picking one up if you plan on making your own nut milks on a regular basis. Place almonds in a bowl and cover with water by one inch. Soak almonds 8 hours or overnight. Drain almonds and rinse until the water runs clear. Combine almonds and 4 cups water in a high-speed blender and blend until smooth 2-3 minutes. Strain the mixture through a fine sieve or a double layer of cheesecloth. Return the milk to the blender. Scrape the vanilla bean and add the seeds to the blender or add the extract if using. Add the agave or honey and salt and blend until combined. Taste and adjust the salt and sweetener to suit your taste. Hi. I can’t wait to make this. I have some left over sliced and slivered almonds. Can I use these or do they have to be whole almonds? 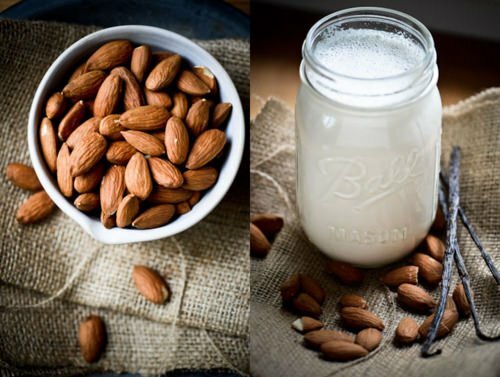 I don’t think that you want to use roasted almonds when making almond milk but I’ve never tried. Usually you are looking for something pretty neutral tasting and it might make for a slightly gritty or strongly flavored end result. Let me know if you try it and are happy with it! I ended up just going for it and giving them a try. There is a strong flavor but once I added vanilla and agave it was fine. I’m glad it worked out for you. 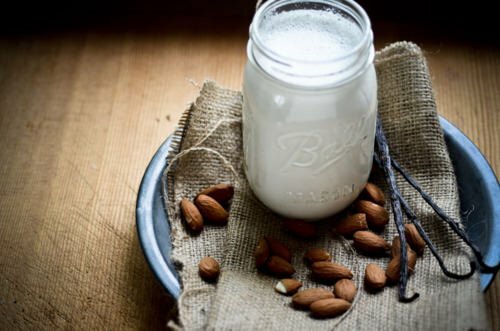 I’ve only ever used raw almonds when making almond milk. It’s good to know that I could use roasted in a pinch!